Successfully Added FACEFOU ML350 Bluetooth LED Lamp Speaker - 10000mAh Battery, 20W Speaker + 15W Speaker, 5W Lamp to your Shopping Cart. This Bluetooth speaker comes with a powerful sound, cool design and can also be your source of light for bedtime reading. Equipped with two speakers: a 3 inch one at 20W and a 1 inch one at 15W, it will give you loud and clear sound quality for your music or audio files. 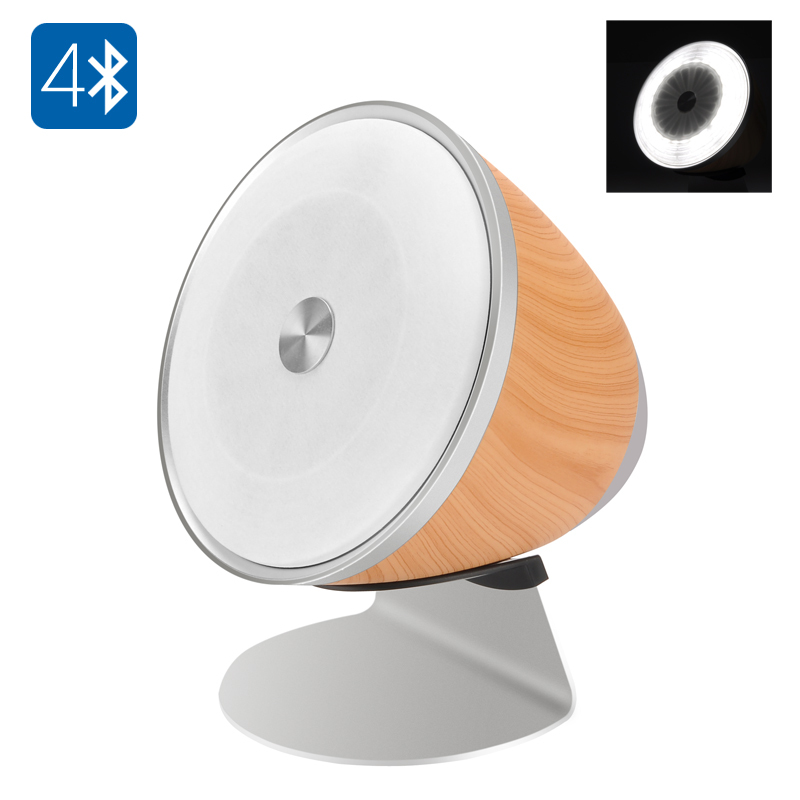 Thanks to Bluetooth 4.1 support, the speaker boasts quick and efficient connectivity with other Bluetooth devices. Simply hook up the speaker to your smartphone, laptop or tablet and stream your favorite tracks. The 5W LED lamp is a good source of light and you can use it a bedside lamp, your desktop lamp or have it as a fun accessory at the office. The speaker comes with a handy remote control and is convenient to operate. With a 10000mAh built-in battery, the speaker-lamp offers 6 hours of non-stop music play or 5 hours of working as a light source. You will have the 3 hours of working if you combine the two or have the option to recharge your USB devices from this nifty speaker. The FACEFOU ML350 Bluetooth LED Lamp Speaker comes with a 12 months warranty, brought to you by the leader in electronic devices as well as wholesale Bluetooth lamp speakers..